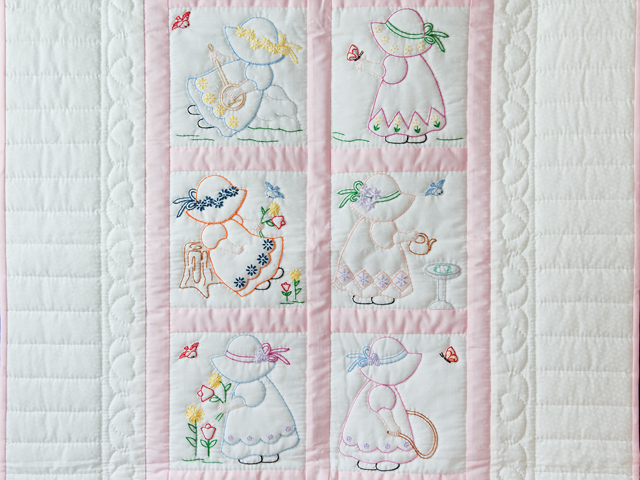 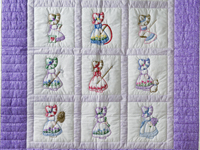 A darling quilt featuring 6 blocks of very special hand embroidery. 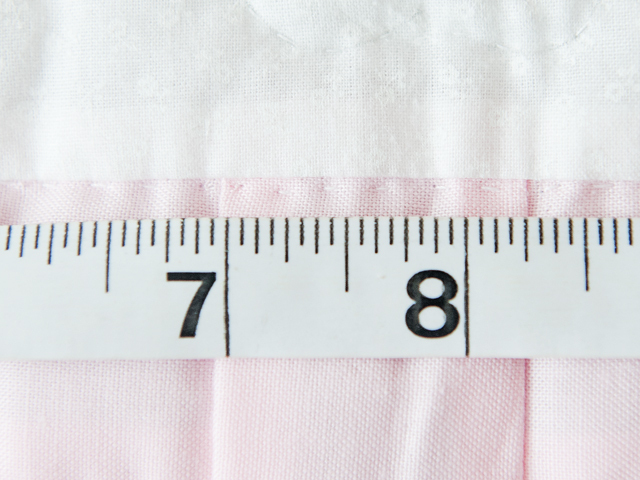 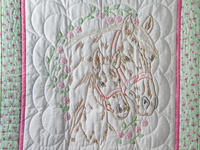 The pink and white coloring is soft and pretty. 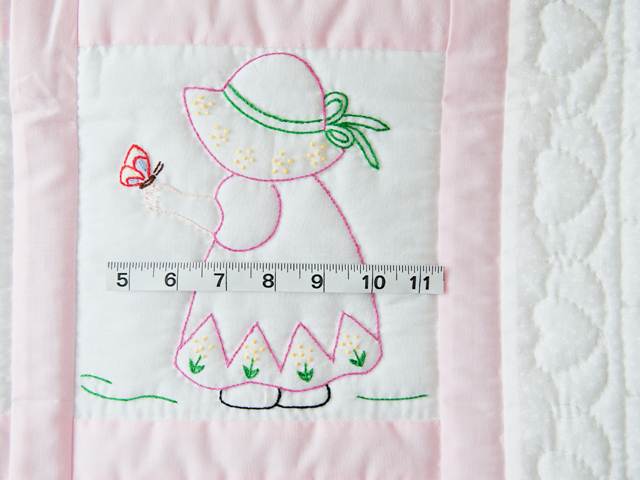 The embroidery is done entirely by hand by a Mennonite lady and is exceptionally neat. 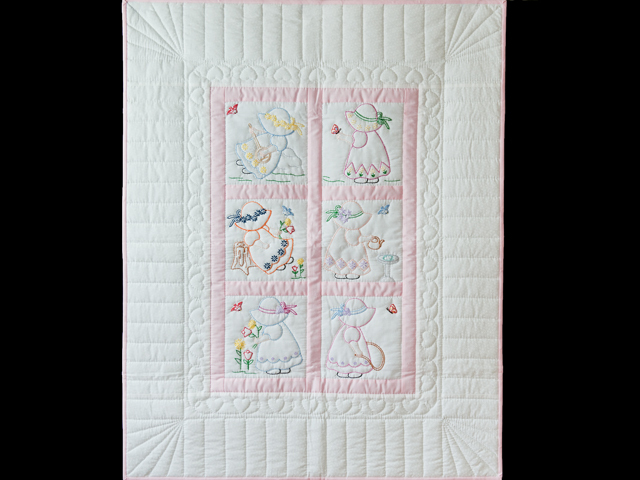 Be sure to notice the beautifully hand quilted heart design. 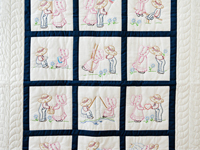 The patchwork was put together by young Mennonite quilt designer Connie Lapp and beautifully hand quilted by her mother. 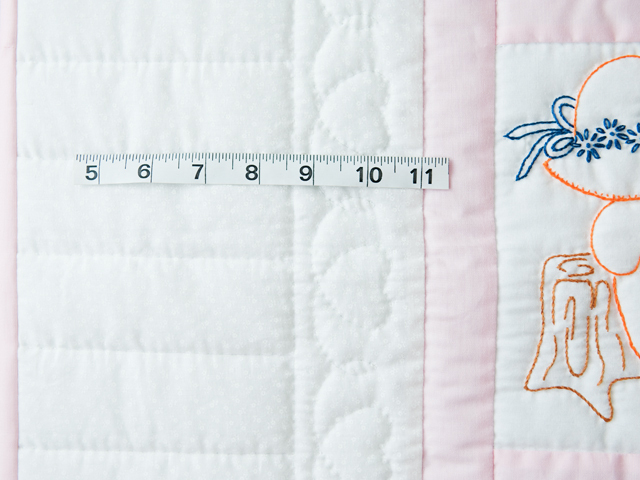 A rarely made quilt that is extra special!